Ten Reasons Why You Should Love Watermelon - What About Watermelon? There is an endless list of reasons why you should love watermelon but we’ve narrowed it down to just ten for you! 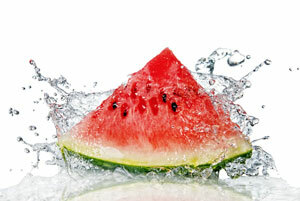 Watermelon is 92% water making it very refreshing on a hot Summers day. Having such a high water content allows you to eat more, feel full without all those nasty calories. 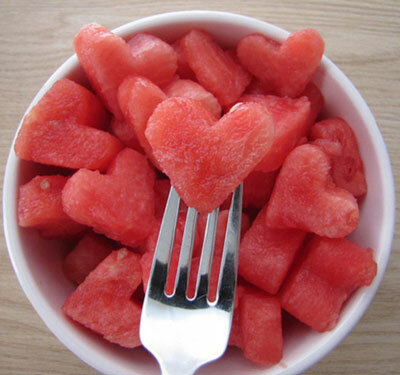 Watermelon is full of vitamins such as A and C and contains antioxidants. If you are feeling lazy, watermelon is the perfect snack for you. Smaller watermelons are perfect to easily cut in half and using a spoon, scoop out the goodness inside. Alternatively, cut your watermelon into triangular slices that can be easily picked up. 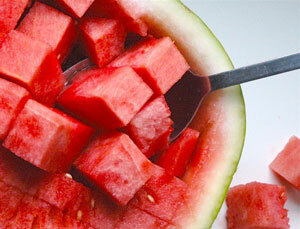 The fibre and water within watermelon helps with digestion by creating normal bowl activity. Savoury or sweet, watermelon can be used in hundreds of recipes and makes the perfect popsicle. 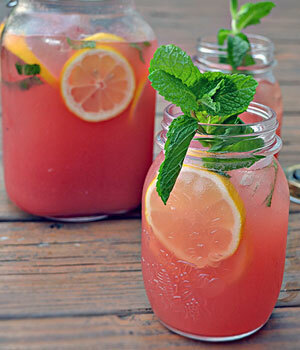 Watermelon can be used in juice form, diced, fried, frozen and baked. Watermelon can be enjoyed for breakfast, lunch or even dinner! Watermelon can be found at local supermarkets fresh year round. There’s no point falling in love with a fruit such as mangoes when you have to say good bye to them for half of the year. 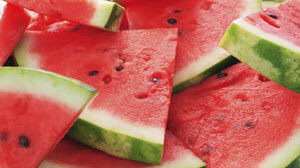 Watermelon contains Lycopene that has been found to lower the risk of cancer. Lycopene lowers a protein involved in cell division which in turn leads to cancerous growths. For a couple of dollars one watermelon goes a long way. Even as an afternoon snack one whole watermelon would easily feed ten hungry children. Watermelon makes the perfect healthy snack for those attempting to cut a lot of calories out of their diet. Easily swap out a packet of chips or a chocolate bar for a few watermelon triangles. It will still nourish your sweet tooth but it will keep you in shape at the same time. You can easily eat all of a watermelon without having to spit out the seeds unlike orange seeds that leave a bitter taste behind. In some cases people swear by also eating the rind of the watermelon due to the amount of nutrients within it.